The number of people seeking treatment for eating disorders is on the rise at one Telford-based counselling charity, one of its counsellors has said. Linda Moore is the clinical lead and a counsellor at Impact in Madeley, and says more and more people of all ages and genders are seeking services. Linda says eating disorders are complicated issues – but as with many of the people we have spoken to throughout this week looking at the issue, she says early intervention is essential. “It’s better to get it earlier before it gets too much of a hold on someone,” said Linda. “The earlier people can get help, the higher the rate of recovery is. “People can sometimes recognise something isn’t right themselves. Maybe they are eating instead of socialising to combat isolation, or they are not eating to make themselves ill so they don’t have to socialise. Very often people know something is not right in themselves but don’t know what to do about it. Impact deals not only with eating disorders, but also other forms of addiction such as gambling, alcohol or drugs. But Linda says that while addicts can give substances up, eating disorders do not work in the same way. “With a substance addiction you can remove yourself from that and give it up, but with eating disorders it’s so much more difficult because it is about managing it rather than abstaining, you need food to live,” said Linda. “Here we provide the counselling and psychotherapy for people. The main part of our work is working with the psychological part of it. What is behind the behaviour with eating disorder? The techniques used by Linda and her team are designed to find the core cause of the eating disorder, and she believes the start of these conditions usually begin with someone feeling they are not in control of their lives. “The main work is addressing the underlying issues. It’s what’s inside that we have to work on,” says Linda. “Uncovering the causation helps people to understand the purpose that the eating disorder provides. It’s there for a reason. It very often is around control, and that fits in around people feeling safe. “If they feel unsafe or uncomfortable and can take control of something like their food intake then that helps them feel better. She explained that it is difficult to put a finger on why eating disorders are becoming more prevalent, but beleives that young people in particular are under pressures that have not been experienced by previous generations. “With the lives that young people live, especially with social media, there is a lot of self reflection on image,” she says. “There are a lot of things for young people to live up to, and when you feel that you can’t live up to what you think you should then there’s the feeling of being out of control. “You can’t escape things. Years ago if you were bullied at school, for example, you could forget about it at home, but you can’t escape it so easily now. Social media is bombarded with images of how you should look, and its sad that people feel they have to live up to these images. People find themselves at Impact by either referring themselves to the service, or through their GP, schools or other family members. But Linda believes that the service offers something different that they can get in the NHS and says that the more “autonomous” approach they have to recovery works better for some people. 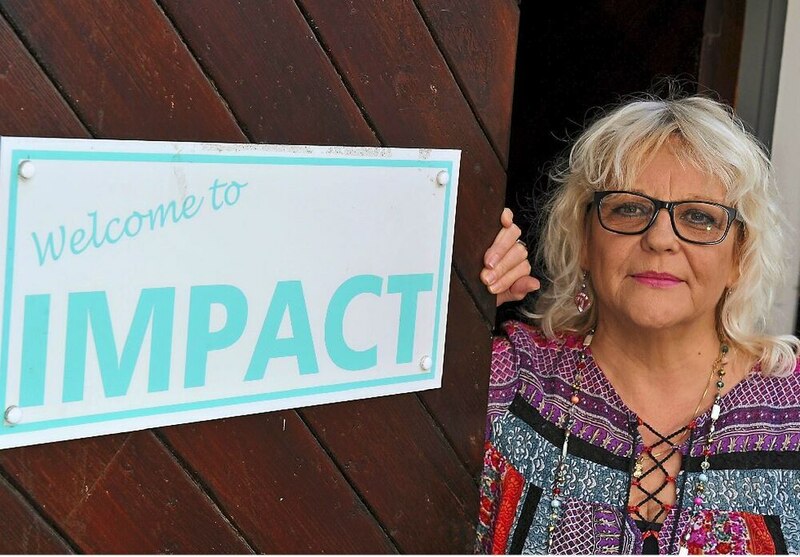 If you would like to contact Impact then you can contact them on 01952 223165, or visit their services on High Street in Madeley. The government and NHS must correctly fund eating disorder treatment so that guidelines can be followed. That is the view of Tom Quinn, one of the directors at BEAT Eating Disorders, the UK’s eating disorder charity. He says the charity supports the NICE guidelines for recognition and treatment of eating disorders. “It is important that the government and the NHS make sure there is sufficient funding for these guidelines,” he said. “Eating disorders are more effectively treated early. Unfortunately many people end up in inpatient care. For some that is necessary because they need medical treatment. But in most cases you can help people sooner which will save the NHS money rather than people staying in inpatient care for months on end, which is expensive. The most recent Health and Care Information Centre published figures in 2014 showed an eight per cent rise in the number of inpatient hospital admissions in the 12 months previous. The Costs of Eating Disorders report, commissioned by BEAT, found this is a growing trend. There has been a 34 per cent increase in admissions since 2005/06 – an annual rise of about seven per cent a year. Mr Quinn praised NICE’s eating disorder quality standard which showed waiting times have improved for children and young people, with an average of 81 per cent now starting treatment within four weeks – but called for this initiative to be rolled out for adults as well. A Parliamentary and Health Service Ombudsman report has showed that more emphasis needs to be put on the coordinating care across different services. BEAT has gone under its own revamp over the last two years to try and improve the support it offers for those with eating disorders. This included extending its helpline hours with better training so that handlers can offer more practical support and information. “October was our highest month [for calls] and the general trend is going up and up,” says Tom. BEAT have created a guide for people who suspect they might have an eating disorder which they can fill out and take to their GP and will highlight a number of symptoms and signs of eating disorders and points the GP to the specific NICE guidelines.